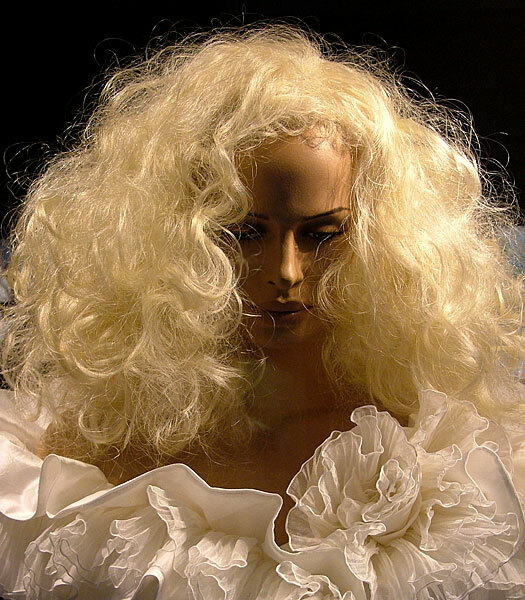 Whilst walking with evening shoppers in Cordoba I passed a wedding dress shop with this lifelike dummy gracing a window area. During the day I had photographed some sculptured heads and it seemed appropriate to add this one to the collection. The gardens to the Alcazar date from the eighteenth and nineteenth centuries and reflect the features of previous gardens on the site created during earlier Islamic times. 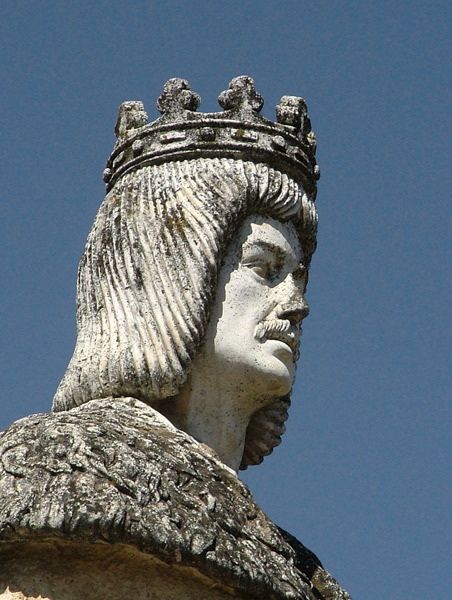 Amongst the sculptures is a group depicting Christopher Columbus in audience with King Ferdinand and Queen Isabella as he sought to gain permission to sail westwards to discover the New World. Originally built by the Romans under the Emperor Augustus, the Puente Romano has undergone multiple restorations over two millennia. 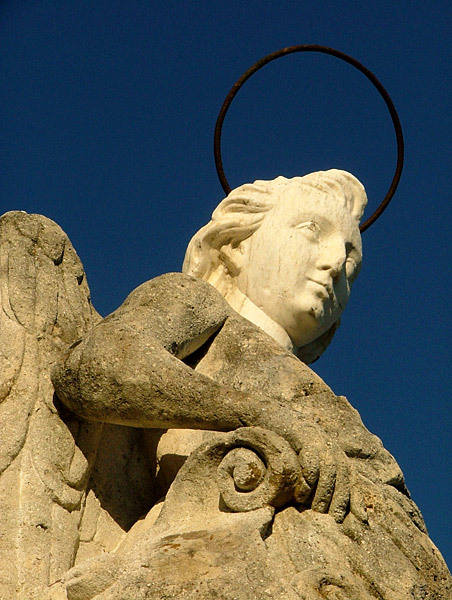 In the centre of one of the parapets there is a statue of San Rafael, carved by Bernabe Gomez del Rio in 1651. Several years ago at an Edinburgh International Festival I photographed, with his permission, a living sculpture standing near St Giles Cathedral. At Festival time the area is always packed with visitors watching all manner of performers advertising full programmes elsewhere or simply performing in a free venue. Edinburgh old town High Street runs eastwards from the castle down to the Scottish Parliament and the royal Palace of Holyrood. At a narrowing of this Royal Mile stands the John Knox House built in 1490. 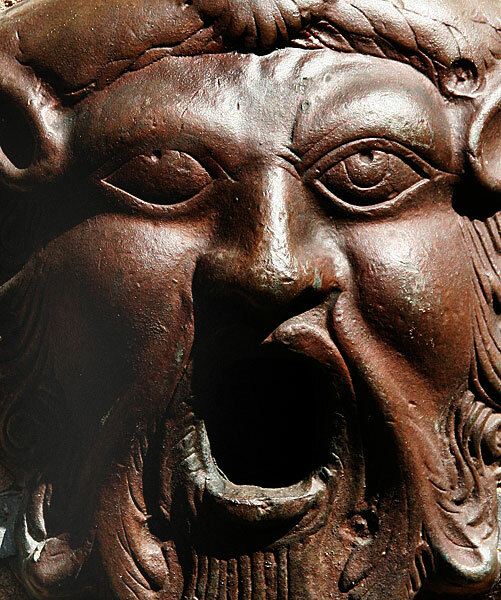 In front of it, a stone structure once served water to the local people through the mouth of this cast iron mask, here shown roughly life size. 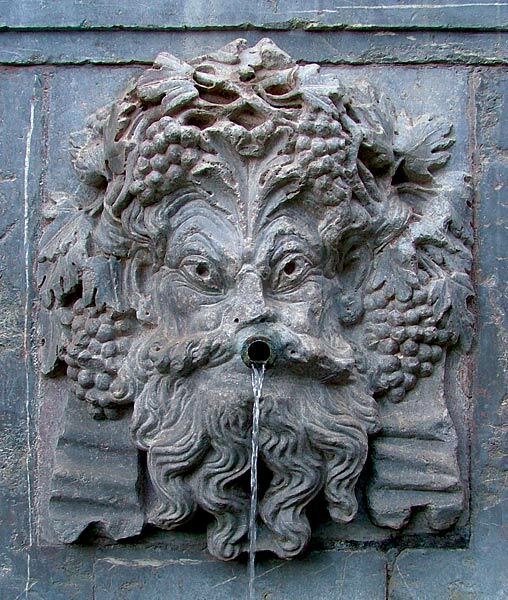 A footpath from the town gate on the Cuesta de Gomerez meanders through trees below the fortified walls of the Alhambra, passing a set of three ancient heads still dispensing water to passers by. 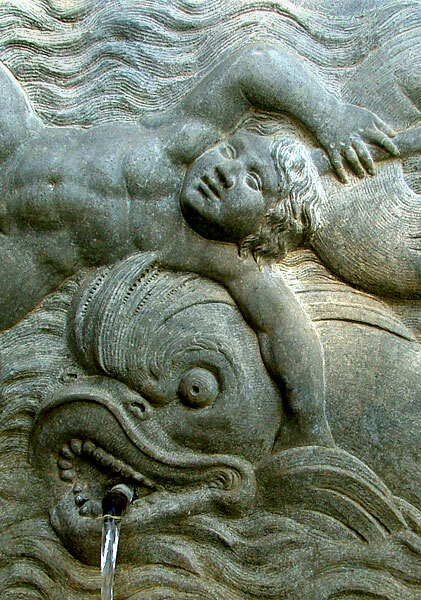 This is a detail from the bronze relief backing a small raised pool in the grounds of the Alhambra. The Palace is a magnificent accumulation of architecture from the period of rule by the Moors from the mid-eighth to the late-fifteenth centuries. This detail from an unsigned painting is low on a house wall on one of the narrow lanes in the Albaicin district of Granada. 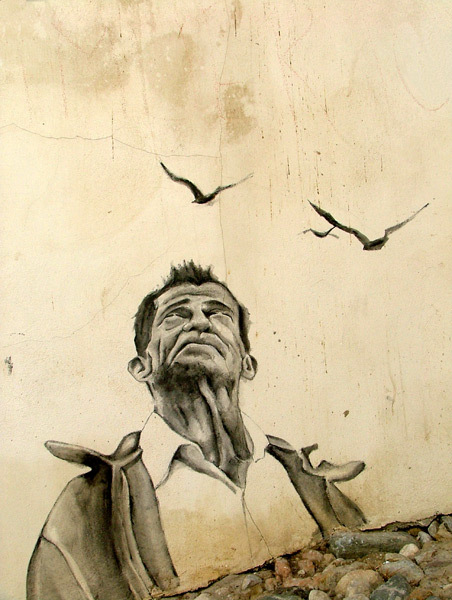 It's based closely on the Mexican photographer Graciela Iturbide's photograph 'The Bird Man' made in 1984. 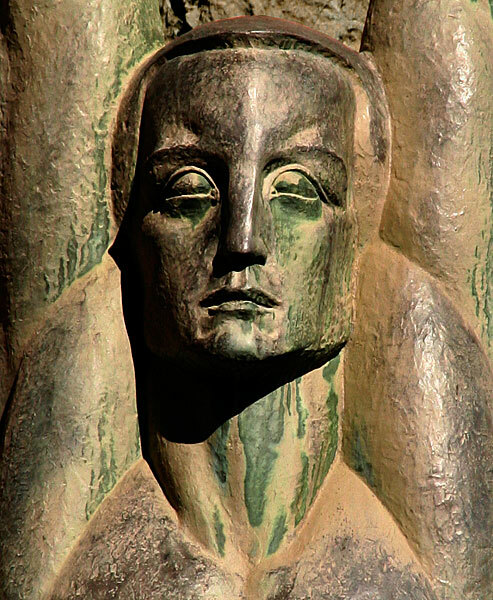 This is the face from one of two Winged Figures of the Republic cast in bronze and placed on the northern side of the dam on its completion in 1935. They were created by Oskar Hansen, a naturalised American of Norwegian birth. 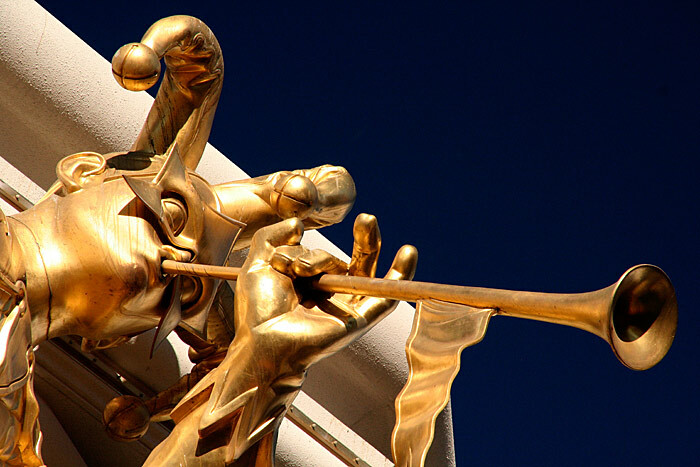 Walking the strip in Las Vegas is a journey through reconstructed time and architecture from across the world. 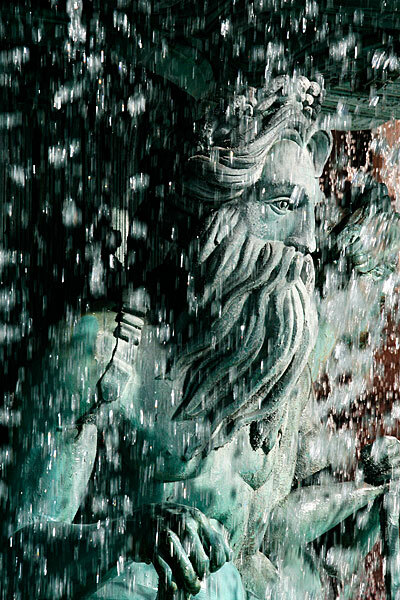 This figure of Neptune stands with others in a fountain at the entrance to the Paris Hotel that features a 540 feet replica of the 1,063 feet high Eiffel Tower. The 1997 incarnation of Harrah's Casino is liberally adorned with considerably greater than life size gilded jesters flourishing trumpets. 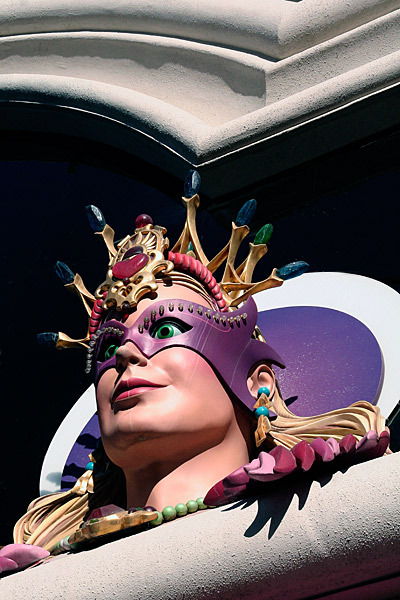 This is another glass fibre reinforced polyester resin figure set on the casino façade. The most striking architectural feature of the enormous Luxor Hotal is the glass-sheathed pyramid of its main building. Inside, rooms are aligned on balconies covering all four triangles. 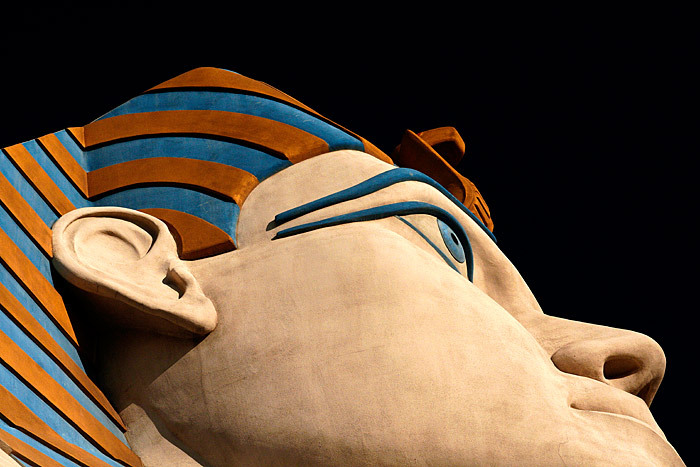 The lavish neo-Egyptian décor of the indoor public spaces is continued outside and includes this painted Sphinx. 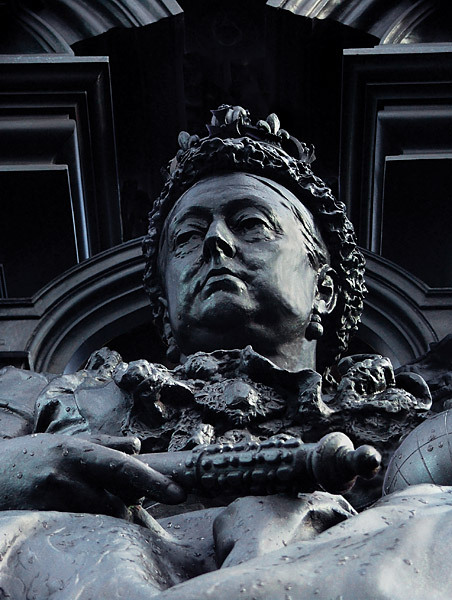 Sir Alfred Gilbert RA created an elaborate bronze sculpture of Queen Victoria following her death in 1901. This is one of a series small heads spaced around the plinth designed in an Art Nouveau style that is in marked contrast to the grand and elaborately enthroned monarch above (See 15). 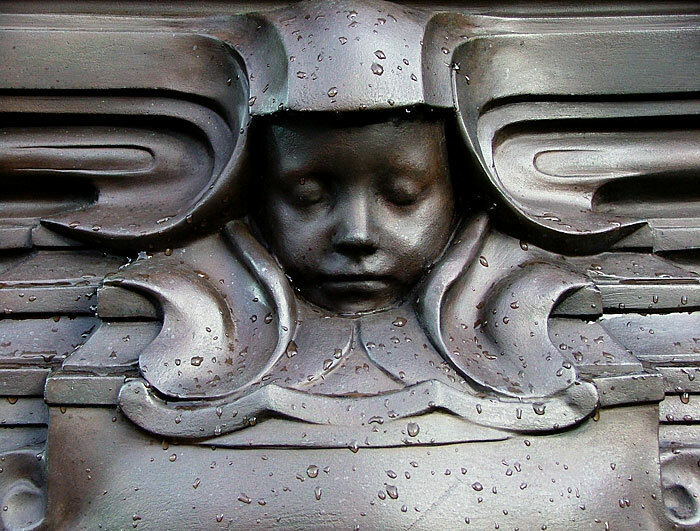 This is a detail from the bronze monument to Queen Victoria by Sir Alfred Gilbert RA placed by the Cathedral on Collingwood Street. A detail of the supporting plinth is shown in 14. All Saints is the younger of two large cemeteries on Jesmond Road near the city centre. 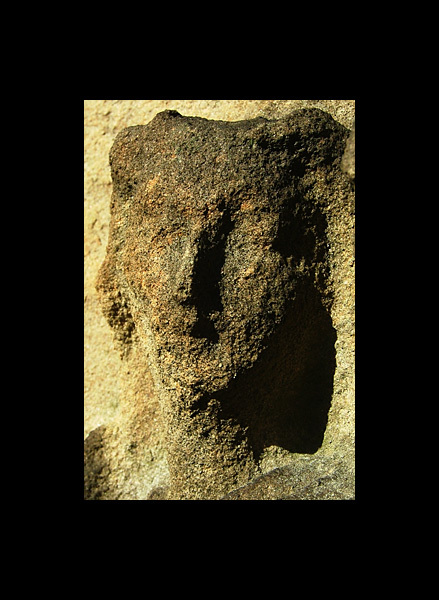 I was looking for angel carvings on the gravestones and found a small, eroding, flying figure of which this is the head, shown here larger than life size. 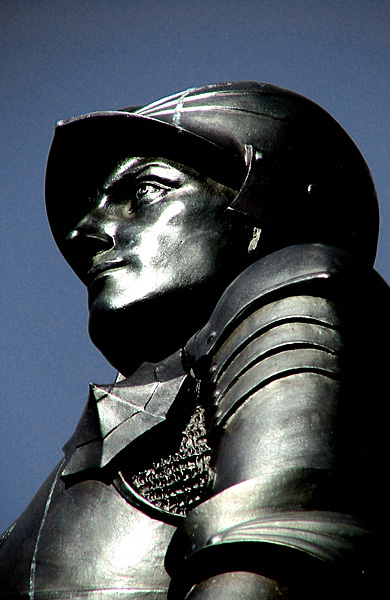 A life size bronze of St George & the Dragon by John Reid stands on a plinth outside the Church of St Thomas the Martyr. 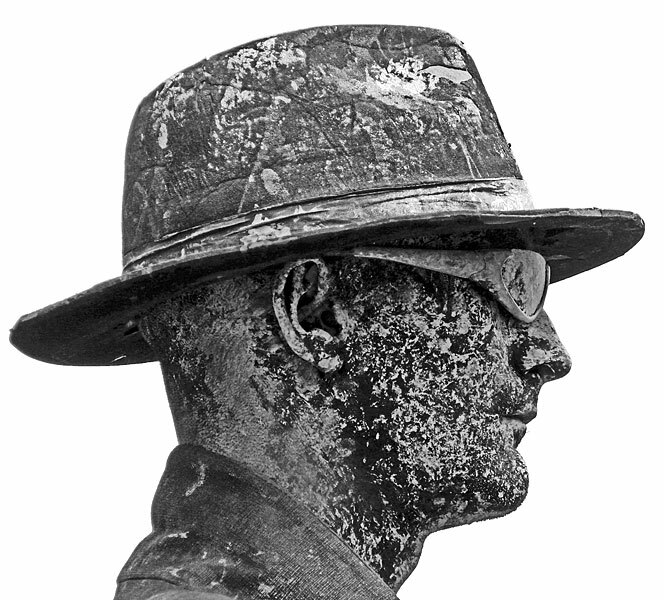 It is a memorial dedicated to soldiers from the 6th (Territorial) Battalion Northumberland Fusiliers and the 43rd and 49th Battalions Royal Tank Regiment killed in the First and Second World Wars respectively. The 2005 Tall Ships Race fleet visited Newcastle in 2005. 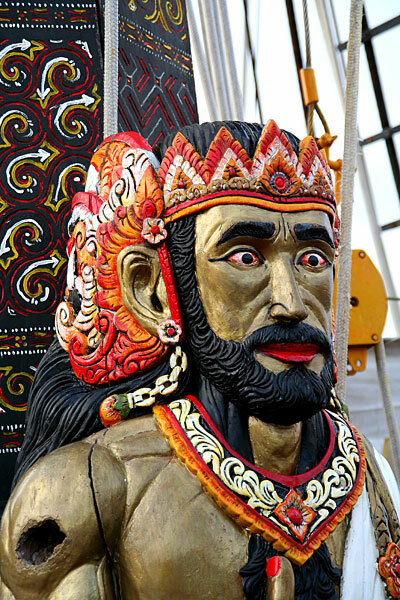 This painted figure was standing on the deck of the Dewaruci, a 1953 German-built three-mast barque, crewed by officers and cadets from the Indonesian Naval Academy in Surabaya. The two TALL SHIPS galleries contain some of the other photographs.